The St. James’s Hotel and Club has five fantastic venues to choose from, for either social gatherings or professional meetings. The exclusive combination of elegant atmosphere, outstanding gastronomy and the highest standard of hospitality and service will create the best possible experience for you and your guests. Whether for meetings, conferences, company celebrations, wine tastings, civil marriages or wedding festivities: our experienced team will advise, plan and arrange your big event. We are also happy to offer menus especially created for you by the hotel's Michelin starred Chef William Drabble and his team. 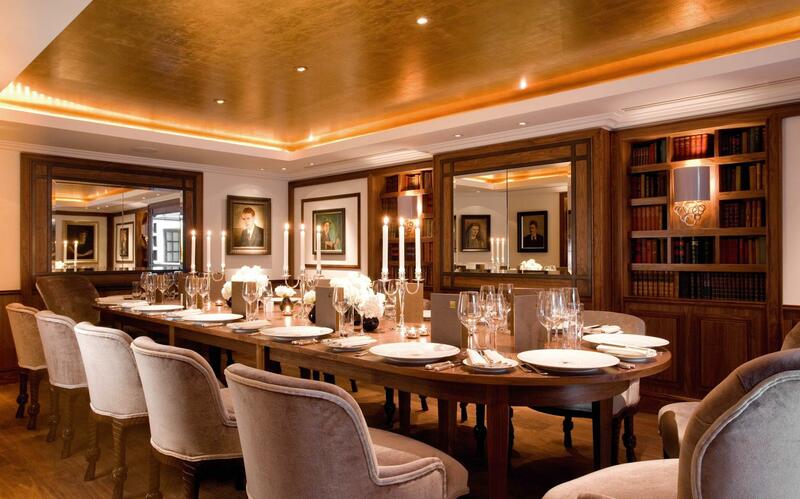 The Library is ideally suited for social gatherings and prestigious board meetings, where the striking setting enhances the sense of occasion. Capturing the atmosphere of a private home, the Library has shelves lined with antique books and a warm welcoming appeal. The room’s central feature is a long antique table, suitable for up to 16 guests. 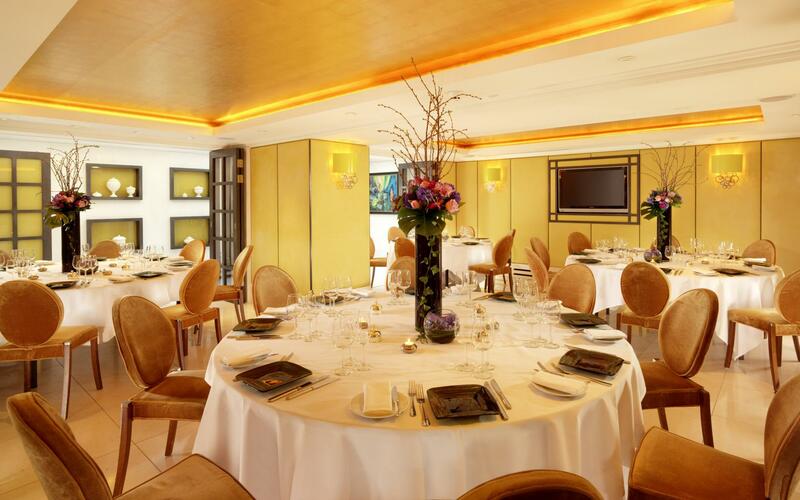 The Mayfair Suite is the largest private room, which is perfect for business meetings or social gatherings. The room features gold leather wall paper and a dramatic glass roof that allows the warmth of natural daylight to spill into the room.